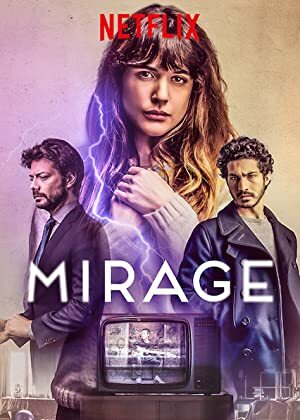 Mirage (2018) – What's New on Netflix Canada Today! Durante la Tormenta (original title) – On November 9, 1989 (the same day that Wall of Berlin falls), Nico is a 12 years old boy passionate to videotape himself playing guitar, being care lovely by her single mother María. This same night, when starts a 72-hours storm, Nico watches a violent scene through the window in the house of his neighbor Ángel Prieto. Moving to the house, he discovers Hilda Weiss, Prieto’s wife, dead in the house. Running from Prieto, Nico is run over by a car, dying in the crash. 25 years later, November 9, 2014, Vera Roy is a woman who divides her time between her work as nurse in the hospital and the family with her husband David Ortiz and her little daughter Gloria. To celebrate their moving to a new house in the suburb, they invite her friend and former boyfriend Aitor Medina and his mother Clara, where Vera learns that she and David are in Nico’s house and that after Nico’s death, Ángel Prieto was arrested and he committed suicide three months later in prison.